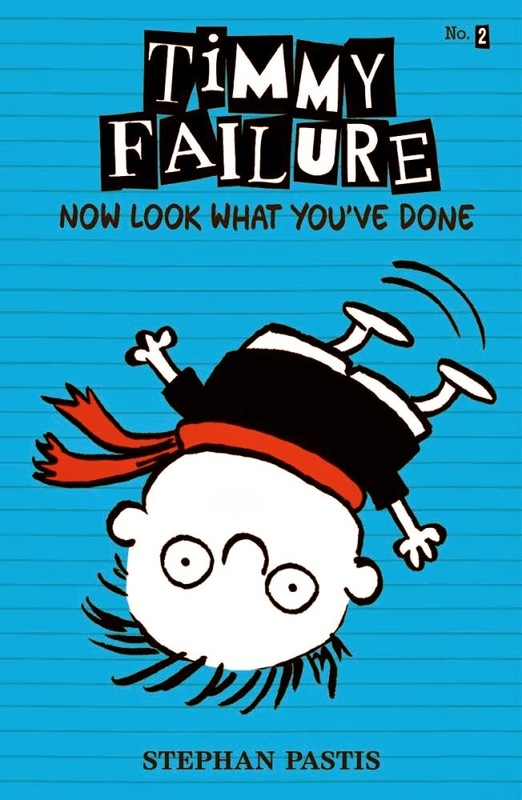 After the worldwide success of Timmy Failure: Mistakes Were Made, fans have been eagerly awaiting the next book in the series. The second instalment finds Timmy more determined than ever to make his Total Failure Inc. the most successful detective agency in the world. In his pursuit of greatness through the building of an empire, he tries to win a detective competition with the Grand Prize of $500. Believing himself to be the smartest person in the world, Timmy is undeterred by obstacles or ‘mendacity’. He believes that ‘when you’ve lost hope, find it’. While monitoring his partner Total the polar bear for laziness, and refusing to acknowledge the existence of his nemesis Corina Corina, who is a threat to him with her own detective agency, Timmy has his eyes on the prize. Will he succeed in what he sets out to do, or will all the chaos that is his daily life, stop him? This fantastic book is better than the first in my opinion. Stephan Pastis seems to have delved deeper into Timmy’s psyche in Now Look What You’ve Done, although the same confusion reigns and laughs galore are created by the extraordinary play on words of which Pastis is a master. Timmy is an inspiration. He never gives up. He believes that all things are possible without a doubt, and his self esteem is unshakeable. The sophisticated language invites all ages into the book, and the expressive illustrations add interest to the story.